Spider-Man. The Hulk. The X-Men. Without Stan Lee, none of them exist, along with a pantheon of other comic book heroes and villains. The comic book writer, editor, and hype man has died at 95 years old. He moved to Los Angeles in 1981, working diligently to promote his creations and trying to make an impact with them in Hollywood. 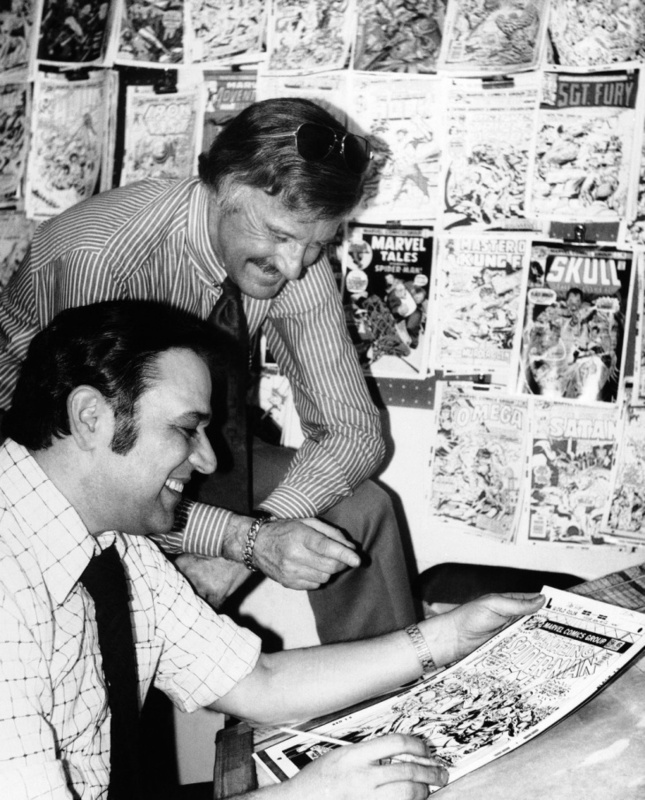 Lee had already worked for Marvel as a writer and editor for decades when he started creating a run of new characters, beginning with the Fantastic Four in 1961, that started to make Marvel a hot commodity. He added new soap opera-style storytelling to the books, creating more characters with human flaws and helping to broaden their appeal to an older audience. His heroes have often been contrasted with the heroes of DC Comics such as Superman, seen more as untouchable icons with less human frailty. "The person viewing the cartoon or reading the book should have something to think about, not just look at mindless pages of running around," Lee said in an interview with NPR. Lee wrote numerous comic books over the years. In the 1960s, due to his immense workload, he pioneered the Marvel Method. That meant creating a brief outline with the comic's artist, letting the artist draw the story before Lee would come back and write dialogue and put in word balloons to fit the art. The style created some controversy, with many artists feeling that they weren't appropriately credited for their role in co-creating and largely driving the stories being told. But those stories were certainly being promoted. Lee's immense skills as a hype man were on display in the pages of Marvel Comics, where he would write columns talking directly to readers, helping to build a fandom. He also made himself a go-to for decades when the media wanted someone to talk about comics, becoming widely known for his catchphrases, "Excelsior!" and, to a lesser extent, "'Nuff said." Lee remained a comic book convention mainstay for years, making regular appearances until a battle with pneumonia earlier this year. Lee's life was filled with controversy in the last couple of years. After his wife died in 2017, there were allegations of elder abuse and both money and possessions being stolen by those surrounding Lee. He spoke out about what happened in an article last month. Despite those troubles and controversies, Lee will be well remembered by the comic book industry and by the world. 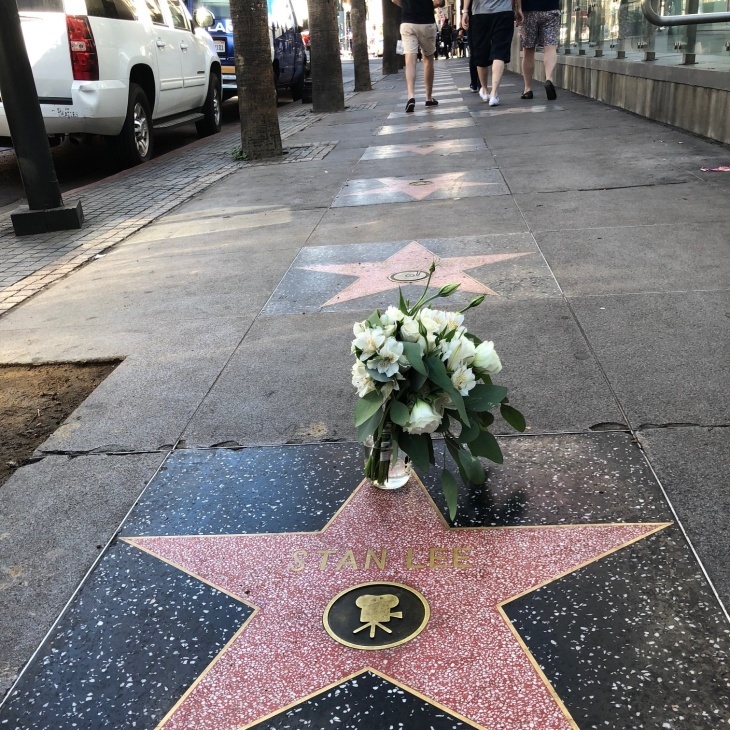 On Hollywood Boulevard early Monday afternoon, a lone bouquet of flowers rested on his star on the Walk of Fame. 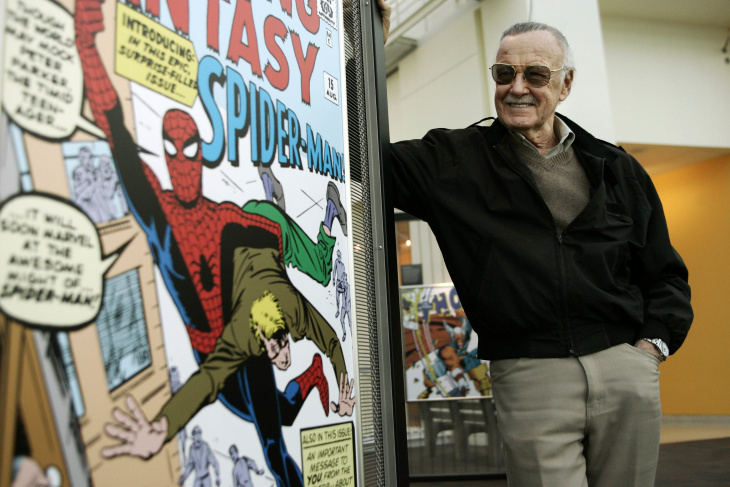 After his death, tributes poured in from throughout the comic book industry and far beyond, including a tribute from the Army to Lee as a veteran. Stan Lee meant the world to us. He's a big part of why any of us are here still talking about comics. We'll be waiting for his Doombot to come online, and then we'll get to talk to him again. I have just learned of Stan Lee's passing. It can be hard to know what to do on the day someone you care about dies. When Jack Kirby died I knew exactly what to do: make comics. Holds true for Stan. 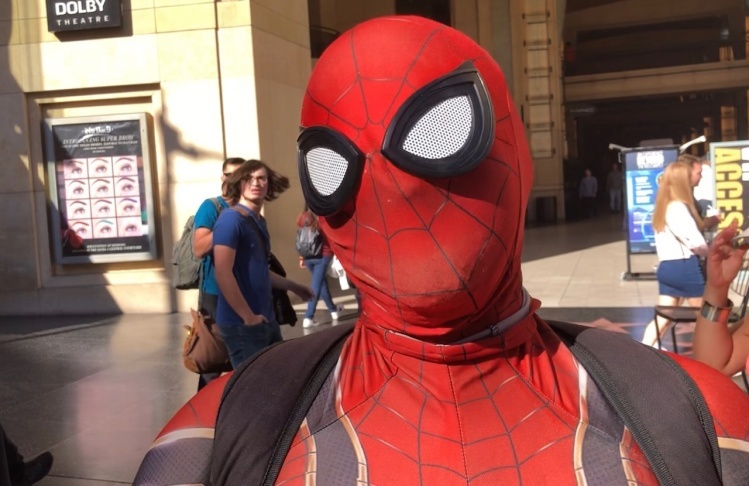 On Hollywood Boulevard, it didn't look like Spider-Man was taking it too well. In front of the Hollywood & Highland mall, he was hunched over. His dirty, gloved hands were on his thighs. But he was just adjusting his fanny pack. Spider-Man, did you hear about Stan Lee? "Who?" the street busker in a red and blue Spidey outfit asked. Stan Lee, the creator of the Marvel Universe. The man who co- created... you? "It really breaks my heart," he said, realizing it all for the first time, "because he created me and such. And it just hurts. I just hope that wherever his family is, and such, they're doing well," the masked busker said, refusing on multiple occasions to reveal his true identity. "When I was a kid I liked Tobey Maguire, because when I saw him at the beginning [of the original Spider-Man movie], he used to get bullied. I'm young, I'm 23 years old, I used to be bullied as a kid. And that's what made me relate so much to Spider-Man and why I have so much love for him. Because he ended up getting superpowers, and he became the Man." 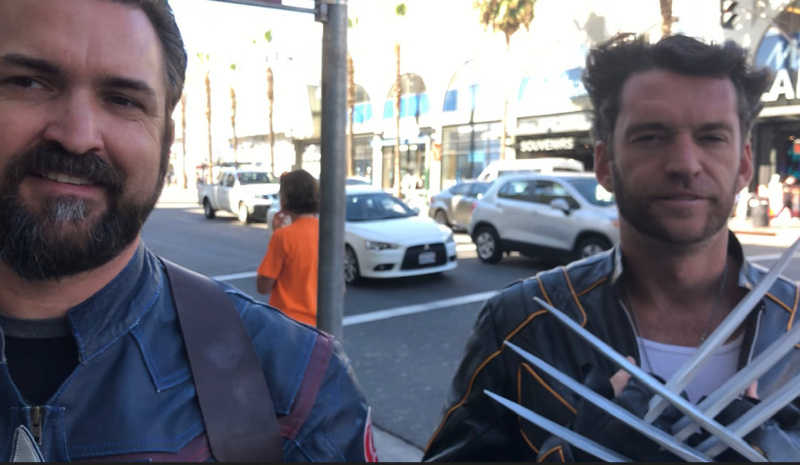 Across the street near the Roosevelt Hotel, men dressed as Captain America and Wolverine waited for the light at Orange to change. Is it bittersweet to work today on Hollywood Boulevard? "Yes and no," Ross Michael Johnson, aka Hollywood Wolverine, said. "I mean, the guy was a legend and he lived to 95 — you can't complain. He had a great life, you can't stick around forever. So respect to Stan — excelsior." Mark Roman, a bearded Captain America who goes by "Hollywood Cap," added, "He showed us how we could find the hero within us and reach for that instead of the darker stuff. I think these days we could all hear a little more of that." Elsewhere on Hollywood Boulevard, hours after the announcement of Lee's death, the awareness of his passing was more subtle. Another Spider-Man hadn't heard the news and had to be coached through who Lee was. A Colombian tourist wearing a Deadpool T-shirt while taking selfies with his girlfriend also had no idea who the former editor-in- chief of Marvel Comics was. And there, in the shadow of a Buffalo Wild Wings, laid Lee's star on Hollywood Bouleard. Only a humble spray of inexpensive flowers in a small vase honored his legacy next to the star. Nearby, two TV news cameramen debated his stature as they waited for word of the next time they'd be rolling. A few blocks east, Hollywood Cap seemed a little peeved at how the press has been portraying Lee in headlines today. "The Washington Post and the L.A. Times, both, the tagline was 'Spider-Man co-creator, Stan Lee,'" Roman noted with a chuckle. "That was an interesting way to sum up the guy who founded Marvel, created all these different characters, including everything that we have enjoyed... that was based off the last 10 years of the Marvel cinematic universe... the history-making Black Panther. Avengers: Infinity War. Going into next year with the history-making Captain Marvel and then the Avengers 4 movie. It's interesting that 'co-creator Stan Lee' is what the major newspapers see, but what are you gonna do? Rest in peace, Stan Lee."